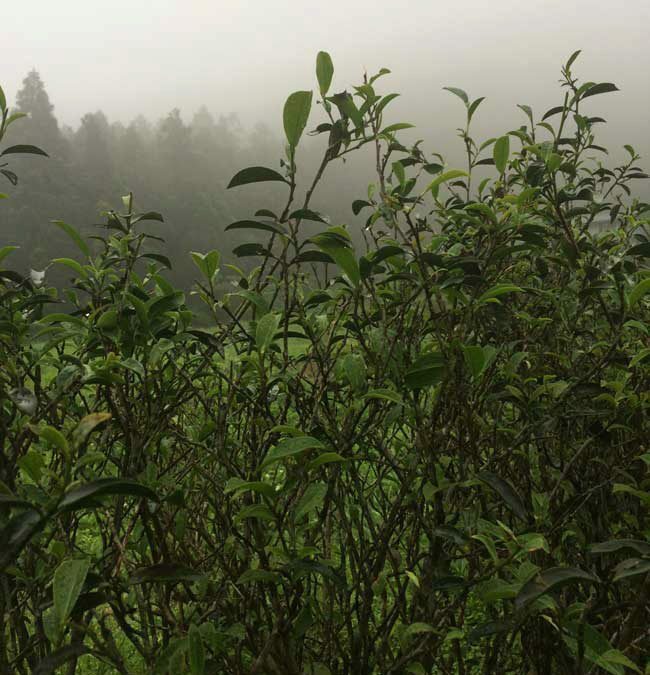 During April, which many of you know, is the usual spring tea harvesting month here in the north of Taiwan, it rained just nine days, for a total of about two and a half inches. This, compared to double that for rainfall last year. Even then, due to a somewhat uncharacteristically cold April in the mountains, picking didn’t get started until halfway through the month — and all gardens which were to picked were completely harvested by somewhere in the middle of May. Of course a few things come to mind with regard to tea leaves harvested then as compared to this past month. Firstly, spring 2017 leaves were, you could say, ‘water-logged’ a good portion of the time. Tea leaves rushed in from the fields took much longer to separate and spread on their bamboo trays for resting and drying. Secondly, processing times were longer. Whether a tea maker liked it or not, and it was likely the latter, the leaves were left to oxidize longer. Even when there were breaks in between downpours, the leaves that had during their first resting period sufficiently dried, often times due to heavy cloud cover, were kept inside. Well, this year was the opposite of all that. Less environmental obstacles allowed tea makers to experiment more with old recipes, and new processing methods. For the most part making tea this year was a party, one of nature’s benevolent corrections. If with regard to the tea I have already tasted, and experienced early in 2018 is any indication, as these teas mature in the month long period of time it takes them to get to market, tea people be blessed, you’re in for a treat. It’s been a near perfect spring in the north of Taiwan this 2018, and principle picking has finished. All Spring tea has been processed, and ultimately awaits drinking, or storage. The latter of course will only serve to deepen, and soften its character, both adding to its complexity, and our hedonic enjoyment of it. One of my personal favorite cultivars, ‘QingXin’ (Clear Heart), a fickle bit of genetics, because of its susceptibility to disease and environmental impact, did exceptionally well. This is to say, there was a lot of it. We were fortunate enough to get some of it after it was processed into a few of our favorite mainstays, such as, Green, Honey-scented Black, Baozhong Wulong, and White tea. Having had a good amount of environmental stressors over the winter break, QingXin’s sweet and delicate leaf lended itself perfectly to the aforementioned tea classes. Hope to hear from you online, or even better, see you at the markets!